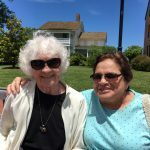 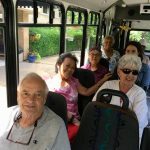 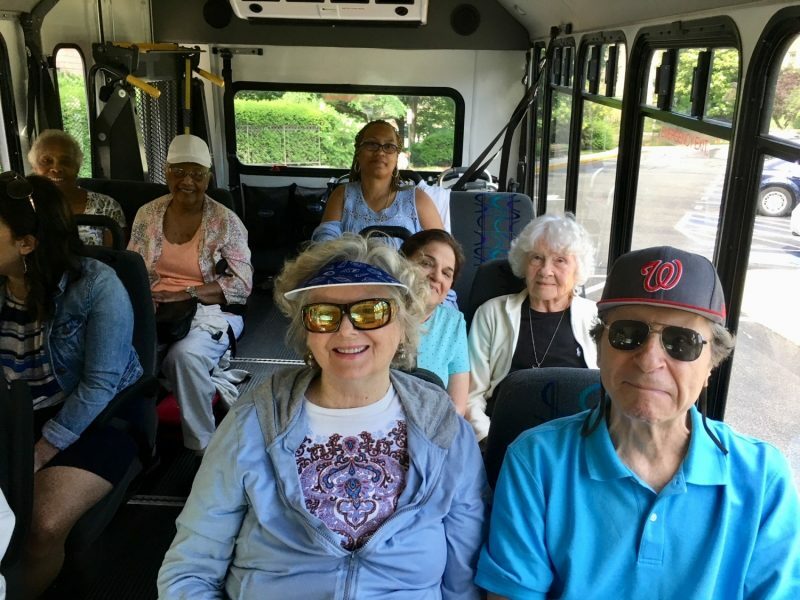 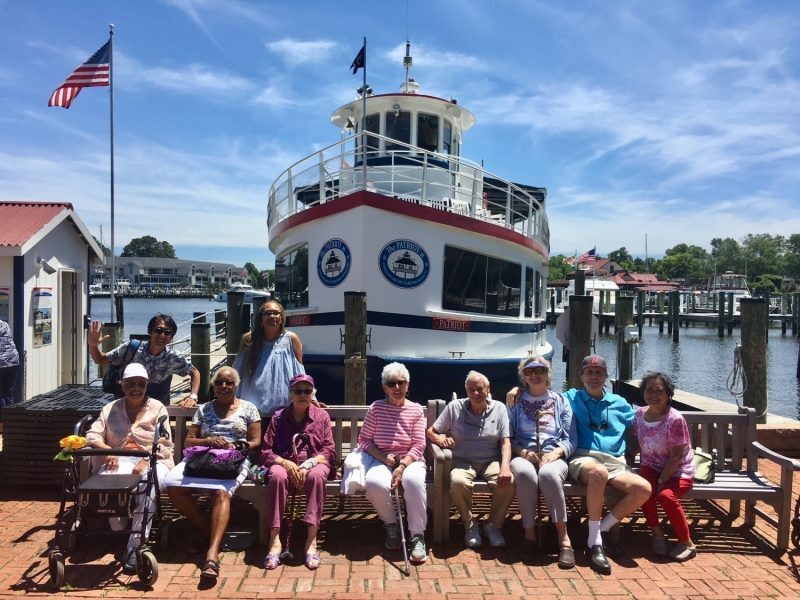 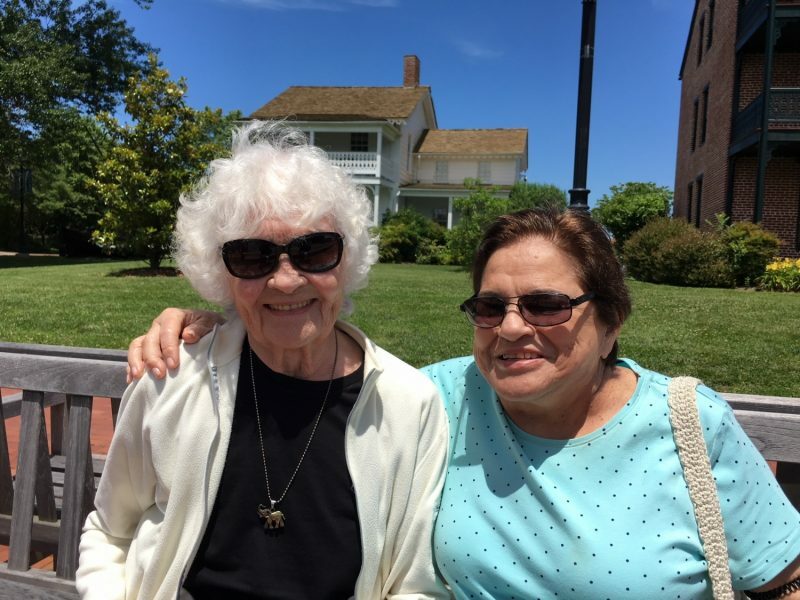 The residents had a wonderful day trip to St. Michaels, Maryland, voted one of the best small harbor towns in America by USA Today. 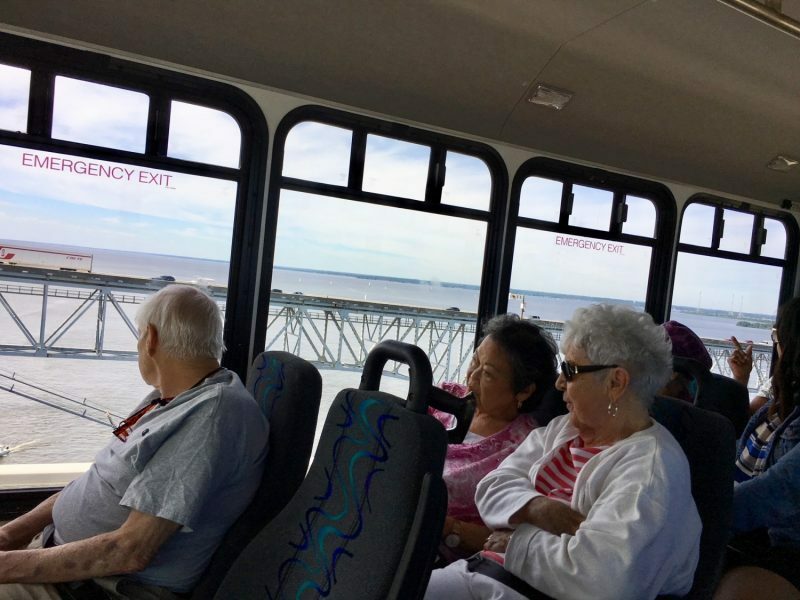 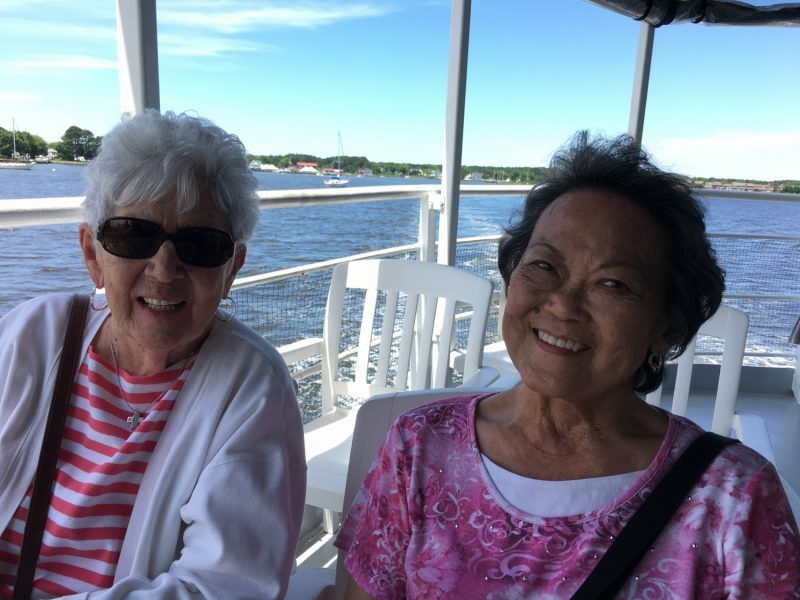 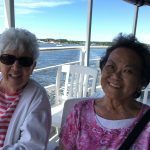 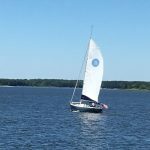 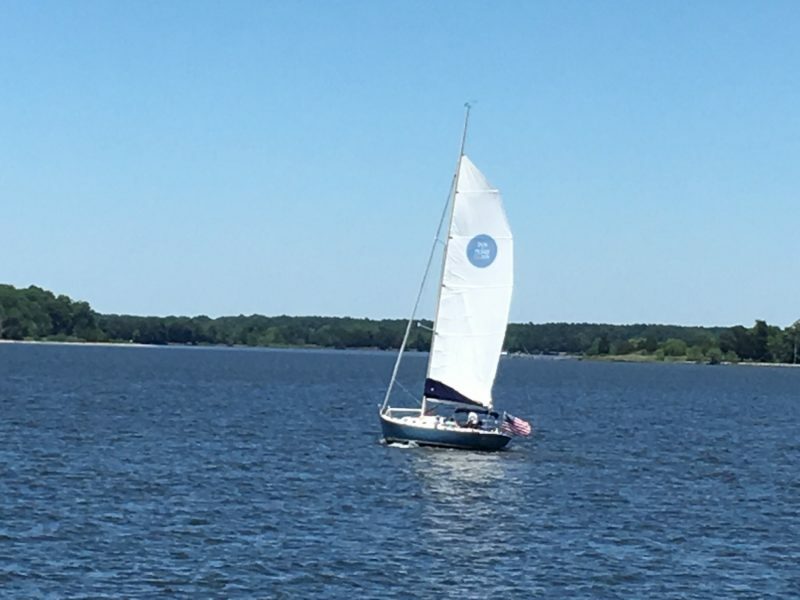 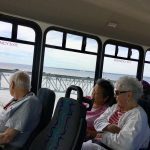 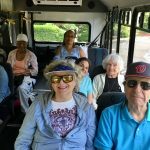 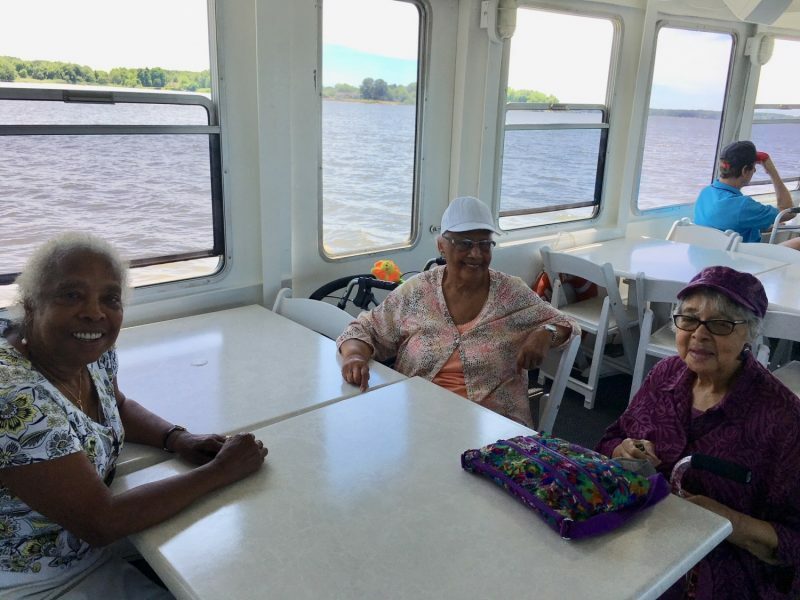 When we arrived, everyone boarded the Patriot Cruise for an hour long narrated historical and environmental cruise on the Miles River and Chesapeake Bay which was a perfect first itinerary on a beautiful day. 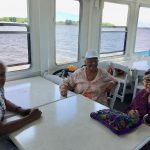 The captain pointed out few highlights including the picturesque Colonial mansion from the famous comedy movie “Wedding Crashers” reception scene. 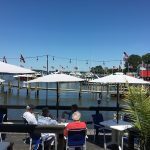 The Inn at Perry Cabin sits on a 25-acre lot on the Miles River in the quaint Eastern Shore town of St. Michael’s Maryland. 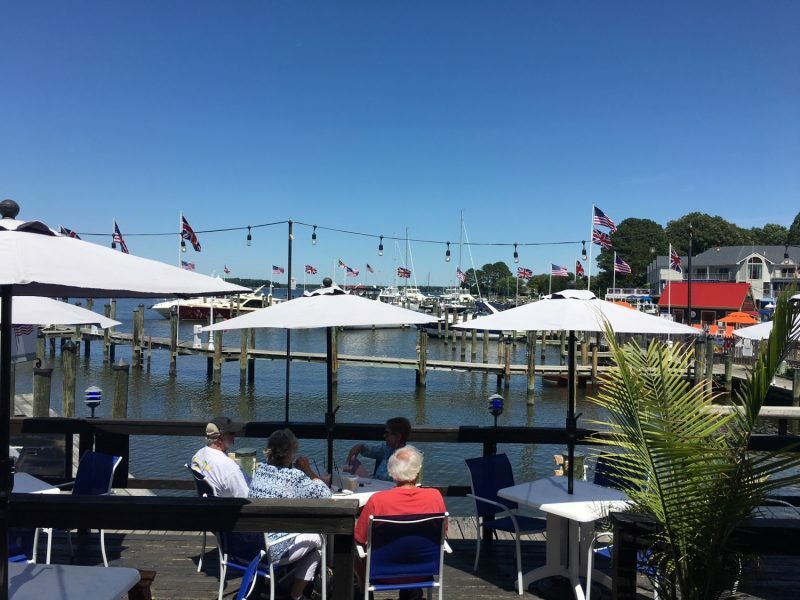 Built in 1816 by Navy veteran Samuel Hambleton, The Inn was a private home, a working farm and a riding academy before finally settling into the luxury hotel property it is today. 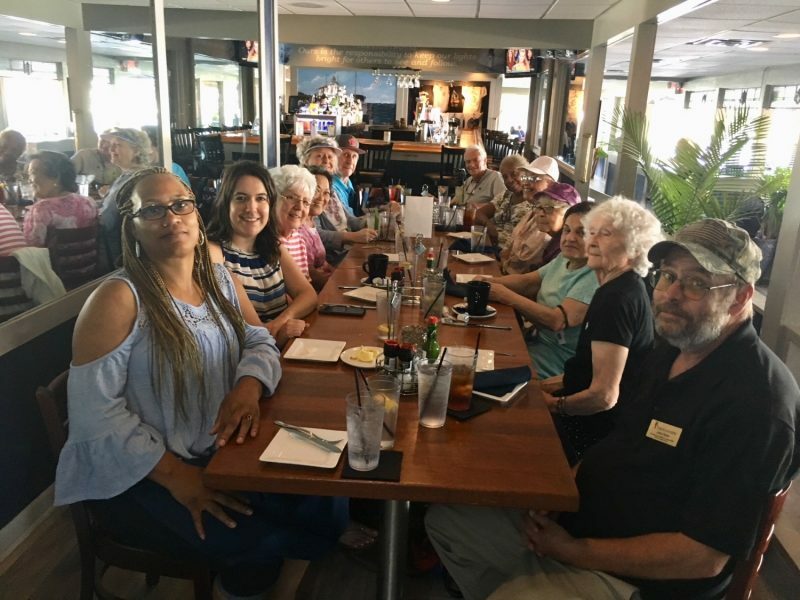 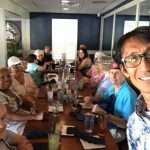 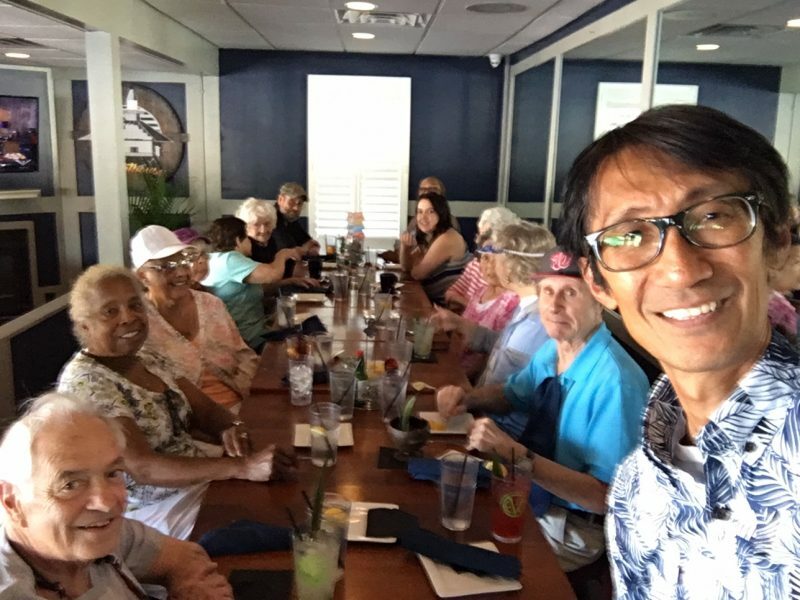 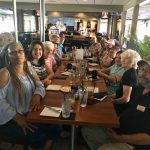 After the cruise, we all went to lunch at The Lighthouse Oyster Bar and Grill which sits overlooking the bay and offers a variety of entree choices including their famous Maryland Crab Cakes, which everyone enjoyed. 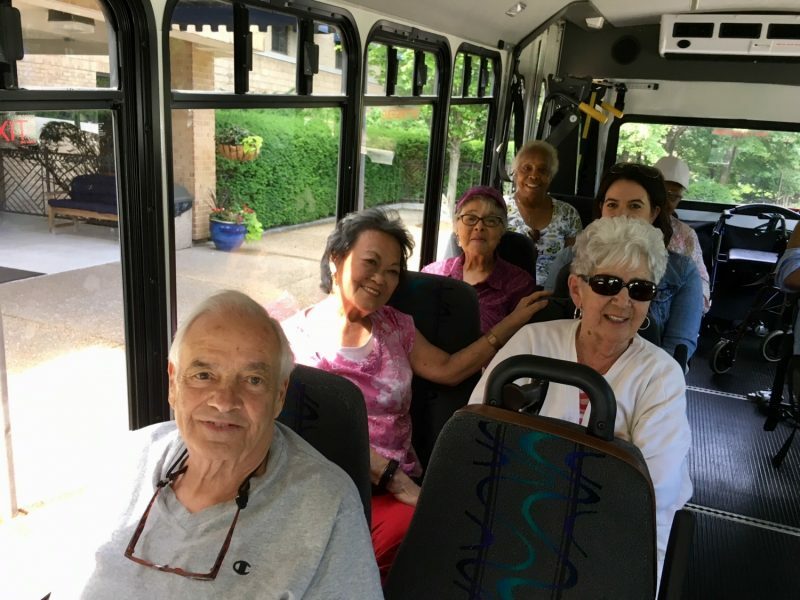 Our last stop was a bus ride along the scenic historic streets, where lovingly restored homes take you back in time. 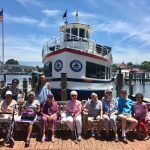 Historic sites, enchanting Inns, Bed & Breakfasts and Museums give you the feeling of what was once a thriving Colonial village and is now home to many who are a bit resistant to the hustle and bustle of modern life.